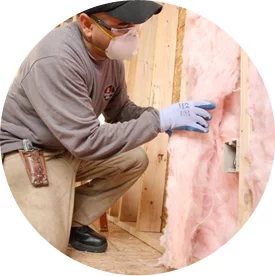 You’ve probably seen fiberglass insulation before—it’s the pink or colorful stuff that resembles cotton candy, and it’s one of the oldest and most popular types of insulation. Fiberglass insulation has actually been around for about 80 years, and it’s still used in the majority of homes to increase energy efficiency and lower energy bills. If you’re interested in adding fiberglass insulation to your Chicago area home, call 800-836-2535 or fill out a contact form to get in touch with the experts at ThermaSeal / Lakeside Insulation! Available as loose-fill or blow-in or as roll batts/blankets, fiberglass insulation is used not only in many homes but in a variety of location within homes, including the attic, basement, exterior and interior walls, any crawl spaces your home has, etc. Blown-in (loose-fill) fiberglass insulation is installed with a special blowing device and is ideal for small crevices, gaps and leaks in the attic and other areas of your home. Batt fiberglass insulation comes in pre-cut panels, and it fits snugly between wall and floor joists and is optimal for basements and crawl spaces. Wherever you install insulation, you’ll see and feel the difference it makes. 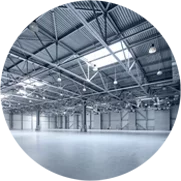 Need Fiberglass Insulation Contractors in Chicago? 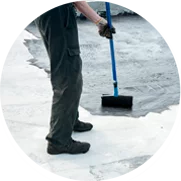 If you live in the Chicago area and are looking for fiberglass insulation contractors, you only need to know one name: ThermaSeal / Lakeside Insulation! We have the necessary equipment for installing any type of insulation and can recommend where you should install it in your home as well as determine what the R-value (the insulation’s resistance to heat flow) should be. Our Chicago area insulation contractors can even determine if fiberglass is right for you or if another type of home insulation material would be more appropriate. The type of insulation you install depends on a number of factors including the climate you live in, how old your home is, the type of HVAC system you have, where in your home you need to insulate, etc. If you’re ready to get started on your fiberglass insulation installation project, a ThermaSeal / Lakeside Insulation professional is just a call away at 800-836-2535! No matter what your project requires, we will complete it in a safe, timely and professional manner. Contact us today to schedule an initial insulation assessment for your home in the Chicago area!